Bring to boil fettucini pasta and strain it. In a small pot, heat a tbsp of butter over medium-low heat and add the flour. Then stir it until the flour becomes smooth. Add the milk and water and simmer until it is hot, then add the cheddar cheese and keep stirring until there is no more lumps. Add the parmesan cheese, turn off the heat when they're well mixed and is creamy. 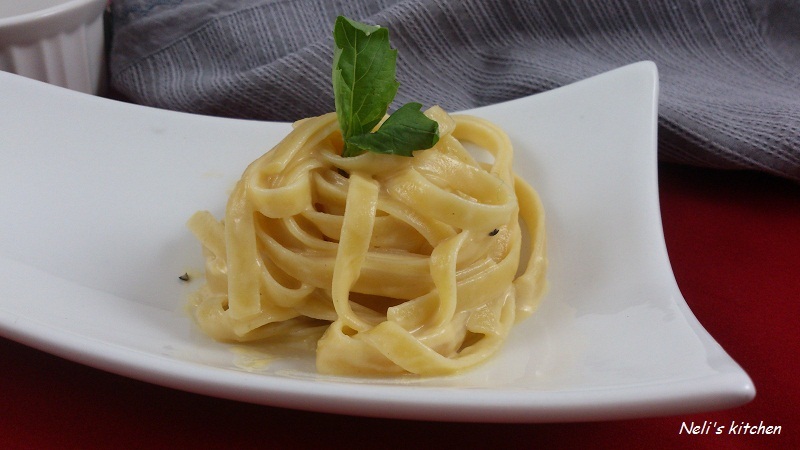 Add the fettucini to the creamy cheese and serve.